Minimalism has become the style du jour and the ultimate buzzword. Whether applied to architecture, interior design, furniture, product design, fashion or lifestyle choices, it summons images of the sleek and refined – and usually the expensively sleek and refined, at that. However, our social media-based understanding of Minimalism doesn’t necessarily convey much of the movement’s origins and essence. Minimalism, as a movement, originated in the art world.  The term was brought into common use in 1965 by the British philosopher Richard Wollheim. 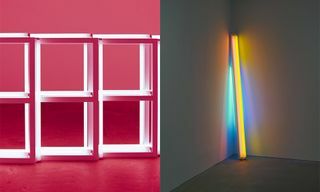 It was actually used as a critique of a burgeoning group of artists whose work could be identified by its “minimal art content.” As an art movement, it was a reaction against the highly rigid and academic art world and a protest in the face of an increasingly consumerist and commoditized society. However, many would argue that “Minimalism” lost its radical potential: rather than a critique, it became a symbol for the everyday consumer; a luxury product. 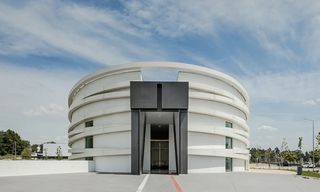 As professor and critic Raskin says, “The richer you are, the less you have.” The minimalist artist’s penchant for raw materials and almost brutal simplicity soon crept into the design and architecture world and quickly became more about conformity than revolution. 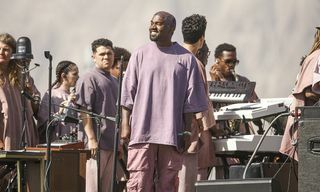 Today, an all-white aesthetic and Silicon Valley optimization have become benchmarks of Minimalism’s fetishized style. Judd was an American art critic and sculptor affiliated with the Minimalist movement, although he disavowed the term itself, along with any notion of art movements in general. In 1968, he purchased this five-story former garment factory in New York, turning it into both his home and his gallery. The design of his apartment – which housed his work and pieces from all the big names in the art and design world, such as Duchamp and Aalto – mirrored his aesthetic taste and his art itself. Attempting to divorce their work from the self-referential presence of the artist, Minimalist artists used simple, repetitive geometries and machine-made, industrial materials. The work was intended to stand as it was, prompting the viewer to contemplate and behold the object, without alluding to anything more. 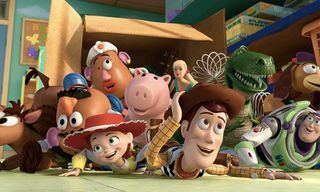 In this way, it was experiential and sensory. The bed is raised, only slightly, on a plinth whose edges extend well past the mattress. The quilt is stitched with a rectangular pattern. There is also a trace of the structures evolution as per Judd’s M.O. – the white plasterboard walls do not quite meet the new oak floor, revealing a slither of the original timber planks. 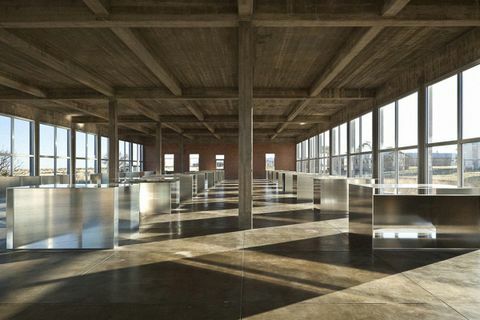 This 1986 work comprises 100 aluminum boxes that reflect the structure and light in Judd’s Chinati Foundation, a former U.S. army building. The material’s reflections create an illusory and ephemeral space. While, at first glance, each cubic geometry looks identical, they have in fact been divided using a different configuration: vertical, horizontal or diagonal. 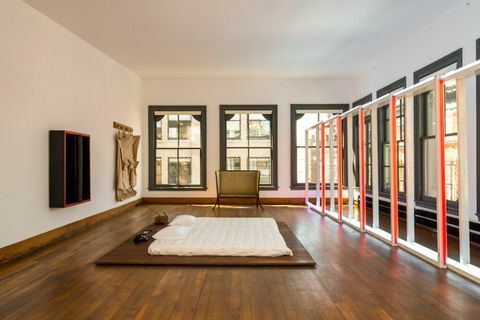 It is these almost imperceptible differences that characterize the work of Judd and many other Minimalists; slight nuances that cause people to become a little more aware of the space and moment they occupy. 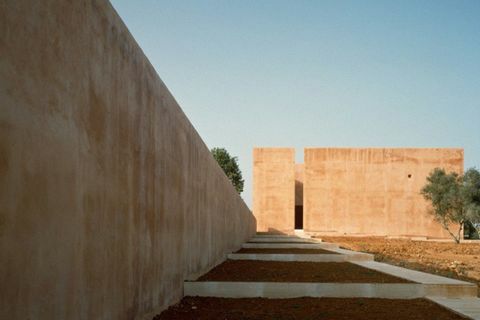 It’s a similar engagement with form and space – its nuances, subtleties and complexities – that marks the work of John Pawson. Every volume, mass, junction and detail is designed to draw the occupant into a visual and tactile choreography; an experience. 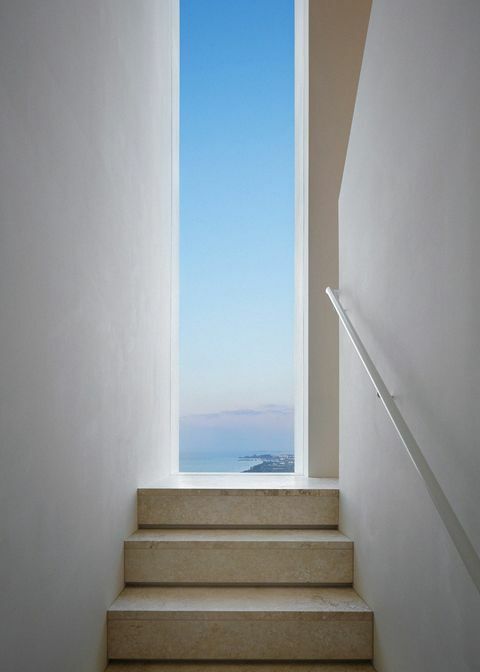 On the island of Okinawa in Japan, this home perches atop a cliff; overlooking the ocean. Completed last year, it was designed as an expansive holiday home for Tokyo-based clients that spend the majority of their days living in a box-shaped house. 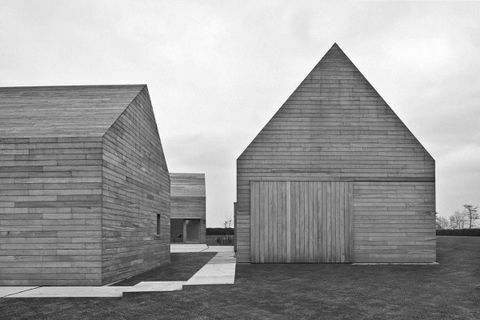 This was John Pawson’s office’s first complete architectural work and was designed as a holiday home for a German art dealer. The attention given to the proportions and qualities of the exterior spaces is unique; they almost assume the importance of interior space. Decoration has no place here. The masses, volumes and materials stand on their own, unadulterated by adornment. The soil is used to pigment the surface of the exterior, and color emerges from the materials rather than application. 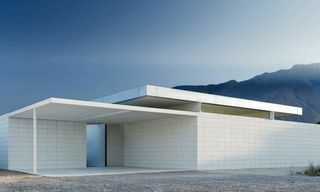 Japanese architect Tadao Ando is undoubtedly one of the Minimalist masters when it comes to the architectural realm. His work is often described as a haiku; juxtaposing two different ideas or qualities he emphasizes the duality of existence, such as solid and void; dark and light; stark and subtle. 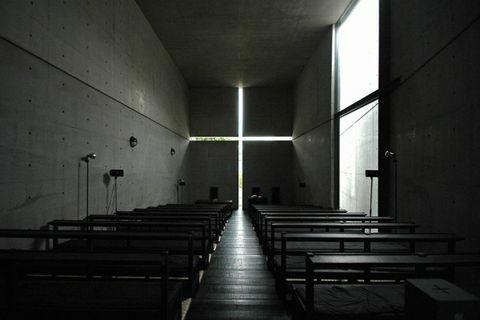 The light pierces the concrete, emitting a glow from the cross-shaped incision into the dark and serene space. The space attains a purity, too: there’s no adornment and the concrete remains in its raw state. 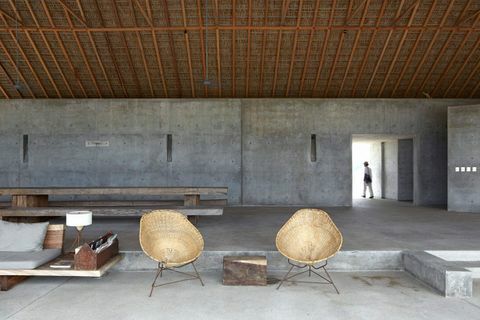 A more recent example from Ando is this home in Puerto Escondido, México. A 312-meter long concrete wall stretches across the sandy, cactus-dotted, Mexican seafront and forms the supporting structure for the home and art center. The Wabi House takes its name from the Japanese principle of Wabi-Sabi: a worldview that nurtures authenticity through the acceptance of transience, imperfection and accident. The mottled concrete walls and floors, which are tattooed with the markings of their construction, are intended to reflect the rich, warm colors of the sunset. The cold linearity of the walls is contrasted by the layers of dried royal palm tree leaves that comprise the roof. 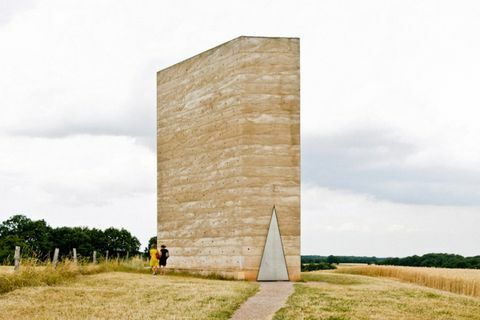 This chapel in Germany, designed by Peter Zumthor, is in honor of the local farmers’ patron saint, Bruder Klaus. The internal structure is shaped like a pyramid and constructed using 112 tree trunks. Four layers of concrete were then poured and rammed on top of the structure. Once they had set, the timber structure was set alight, leaving a charred cavity lit by a small oculus at the top. This process of construction remains embedded in the raw and irregular walls. For Zumthor, like many of the Minimalist architects, the crafting of form is about evoking sensory experiences, connections and emotions. 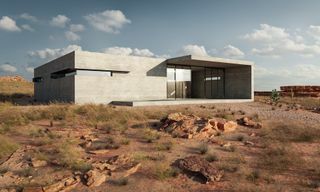 His belief that the physical and tactile qualities of materials can establish a connection and sense of place is evident in all his work. 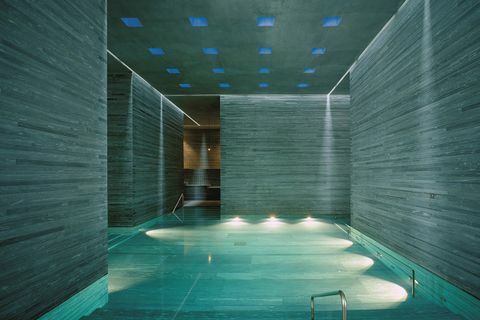 This thermal pool and resort in Switzerland is another example of Zumthor’s exquisite use of materials and spatial sequencing. Every detail is deployed for its sensory and experiential qualities. The copper handrail, striking in its simplicity, glows against the concrete, leading one into the water with a cool grip. In his manifesto, he writes: “I used to take hold of it when I went into my aunt’s garden. That door handle still seems to me like a special sign of entry into a world of different moods and smells. I remember the sound of gravel under my feet, the soft gleam of waxed oak staircase. I can hear the heavy front door closing behind me as I walk along the dark corridor and enter the kitchen.” A fine example of Minimalist architecture indeed. The design of this home by Vincent Van Duysen employs a traditional rural form to suit its informal, countryside setting. While it acknowledges tradition, it does so in a contemporary way. The same timber encases the entire facade: walls, roof and doors. 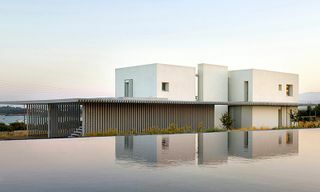 Eschewing ornamentation, the design goes as far as to abandon – or render invisible – more functional elements, such as roof overhangs, guttering and door thresholds. The planks and the grain of the timber provide the decoration; embedded rather than applied. 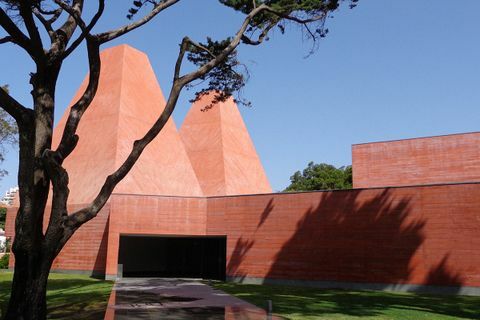 The two chimney-like structures, rendered in a pigmented concrete, balance simple and refined forms with a rich materiality. His works are deeply embedded in the regional context, yet universal in their formal language. This is a building that proves that minimalism can be colorful, too! 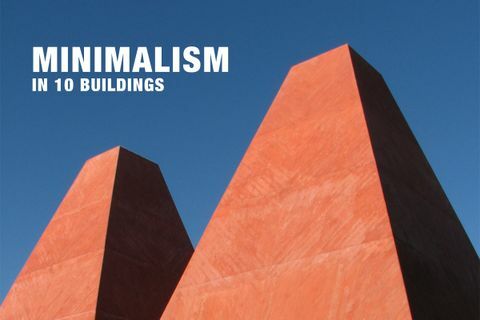 Now that you’re done with Minimalist architecture, here’s everything you need to know about Postmodernism in 10 buildings.